The Next day Science offers a unique collection of cell spreader that smoothly spreads bacteria on a flat surface. 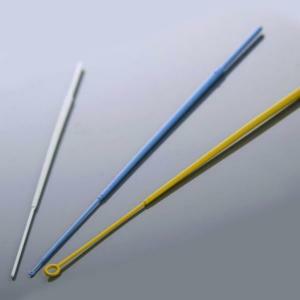 The entire range of tool including Inoculating Loops and needles are pre-sterilized and does not require any flaming. Available in various shapes and sizes, spreaders offered by Next Day Science are highly durable and a convenient way of spreading samples in Petri-dishes. For more information, contact us at 866.650.0314 and inquire more about our valuable collection of Lab Spreaders. 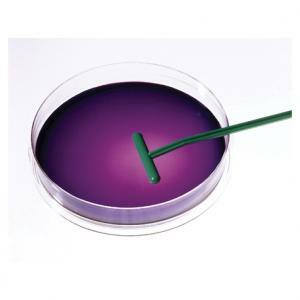 In the context of a laboratory, a spreader (also called a cell spreader) is a hand-held instrument that is used to spread cells or bacteria onto a medium such as agar. Even spreading is essential to facilitate good culture growth from the sample. What are spreaders made of? Spreaders used to be made mainly of glass. Nowadays, glass is still a firm favorite, but other materials are available such as metal and even plastic. 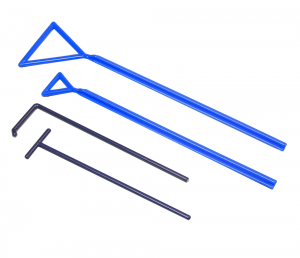 Glass and metal spreaders can be reused, but the plastic versions cannot be sterilized and must be disposed of after use. What are the benefits of using glass spreaders? 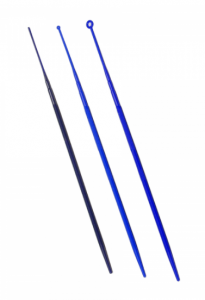 Although spreaders now come in a variety of materials, glass is still very popular for lab work. Glass can be sterilized, and can, therefore, be used over and over again, making it an economical choice. Glass, however, can get broken, and strict safety instructions need to be issued to first-time laboratory-users in respect of glass safety. It also reacts minimally with water and acids at the surface level. Only tiny amounts are dissolved from the glass, through which a layer of silica gel forms on the surface to stop further attack. This makes glass a stable material for laboratory work. What are the benefits of using plastic spreaders? The great thing about plastic spreaders is that they can simply be thrown away after use. There’s no need to sterilize them before and after use, like you would with metal or glass instruments. 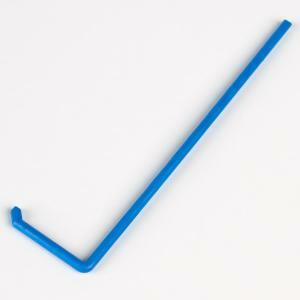 Instead, plastic spreaders can be discarded with other medical waste. Because of the pervasive issue of plastic pollution around the world, laboratories need to pay attention to plastic recycling initiatives. How do I choose which spreader to use? Sometimes, the spreader you choose is a personal choice. In fact, many researchers are known to have firm favorites. But the main reason for making a particular choice is often down to application and suitability. The material from which the spreaders you have available may differ from glass to metal to plastic. Each material is more or less suitable for different applications. The shape of the spreader is also an important factor in your choice, as is sample type. How should I prepare my spreader for use? If your spreader is plastic, there is no need to sterilize it because it will be pre-sterilized. If you are using a glass or metal spreader, however, you will need to sterilize it before each use. First of all, immerse the spreader in alcohol or ethanol. Then pass the spreader head through the flame of a Bunsen burner to get rid of any remaining micro-organisms that may be clinging to it. What should I do after using the spreader? Once you have transferred your cell or bacterial sample to one or more agar dishes, simply re-immerse the spreader in alcohol or ethanol to sterilize. Plastic spreaders can be disposed of.